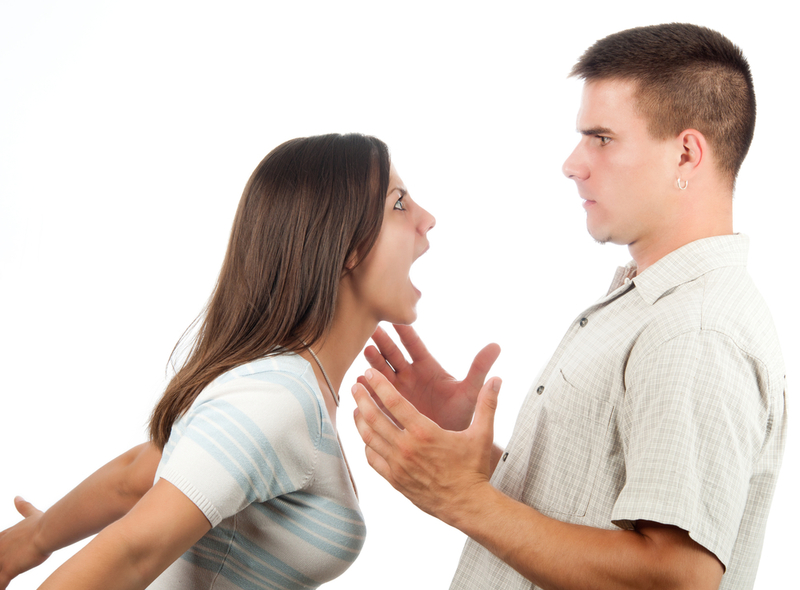 Dealing with anger in a relationship can be difficult. Anger can push us away from our partner, so learning how to control anger’s influence on our lives and partner is incredibly important. Many of us don’t develop effective tools for dealing with anger until later in life, if ever. If you’re reading this, maybe you could use a helping hand. If you get angry at your mate, you are not alone. 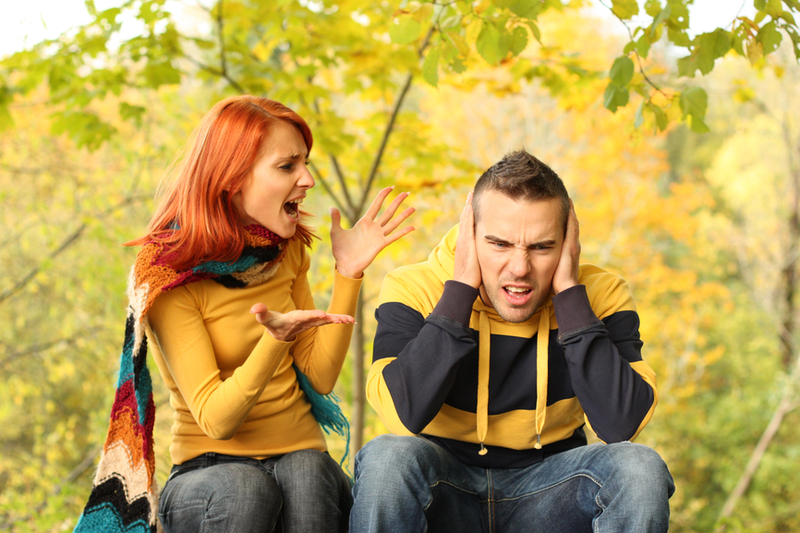 If you get really mad and yell or do other things to your partner when you get upset… again, you are not alone. Anger is pretty common in relationships. And this is not an article about how terrible it is. This is a message about what to do about it. Having an argument with the person we love is one of the most difficult events we can go through in a relationship. When we are not upset, our special person is our favorite individual. We love them. When we get our feelings hurt, or we get misunderstood or get angry at them, they turn from our loving soulmate to someone we war with. And when we get pulled into an argument with our loved one it doesn’t matter what came before the argument. It doesn’t matter that we get along most of the time. It doesn’t matter that we had a great day just a few minutes before. All that matters is that we are hurt, feel unloved and now we are MAD! Wonder how to stop arguing? If you have nothing to say that will help things, sometimes the best medicine is to remove yourself from the situation until you have some time to cool down and think. Have you ever been so mad at your mate that you just can’t get yourself to talk with them? You know it’s not right that you refuse to tell them what is going on but there is something inside you that will just not budge. No matter what your thoughts are or what they are saying to you, you remain tight-lipped and silent. 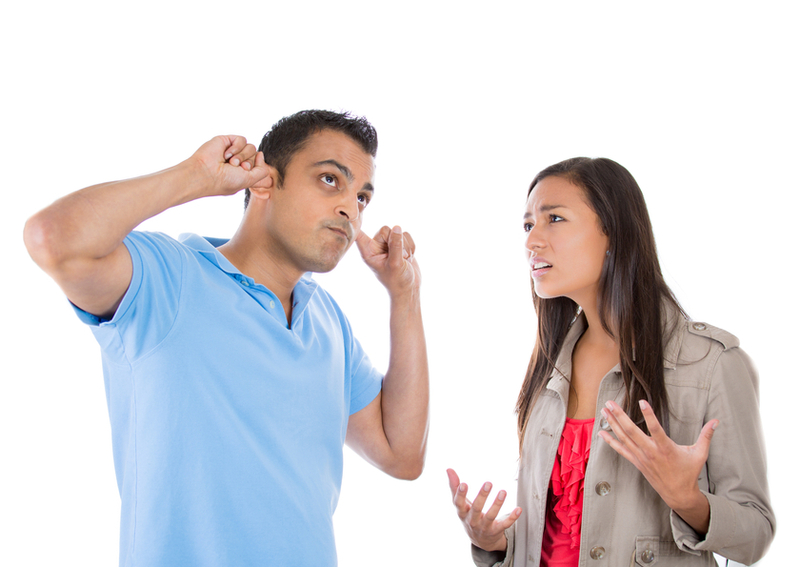 When couples fight or argue or have a disagreement it’s not uncommon for one person in the relationship to stop talking. This happens among many couples so if you are experiencing this in your relationship know that you are not alone. By the time couples come in to see me for couples counseling it’s a good bet they have tried everything they know to feel better in the relationship. If a couple comes in while both still like each other and both want to make the partnership work the outcome can be terrific. But if each person has been holding on to anger at the other person for a good amount of time and finding fault with everything their partner does, then mending the damage becomes an entirely different and more difficult endeavor. Sometimes when a couple has been at war with each other for a long time they don’t see the good in the other person anymore. They see their mate as the evil one who does things intentionally to hurt them. They might even feel harmed by their mate. So they might end up making their partner, husband, wife, the person they believed would grow old with, into something they never thought they would… they make them their ENEMY. I bet if you could go back in time with any couple who stays at war with their mate and see them early on in their relationship as a loving couple, and if you asked them then if they thought they would be enemies they would probably tell you, you are crazy to even think they could possibly hate their beloved. It would be unthinkable to them. No one sets out to dislike the one they love. And if there is any hope for a recommitment of sorts between them, that’s where I have to help them look, back to the start of the relationship when they believed in their partnership. The couple has to find some kernel of past happiness to hold on to, in order to be able to rekindle something that could bring them closer. By the time a couple gets caught up in the cycle of blaming each other, it’s likely they have spent a lot of time wishing they could be close and feel loved by their partner. When couples end up blaming their partner for what is wrong in the relationship they have already spent a long time trying to change their mate so they can feel better; feel more love, feel close to them again. They have tried everything they know and are probably exhausted and lonely. Unfortunately, I believe that a working relationship must have aware participants who can take responsibility for how they treat their partner. No one gets a pass to be mean to their beloved. I don’t care what your partner has done. When we retaliate on our mate we are no better than two five-year-olds battling it out on a schoolyard. This is no-win behavior that makes us mad at our mate and it pushes us toward demonizing them and hating them for how we feel…unloved. People who bicker and argue may be good at fighting with each other. They may even think that people need to have battling skills to be in a successful relationship. Maybe they saw their parents fight like this. Maybe they learned how to raise their voice out of frustration. What ever the reason let me be clear on this point too. As a Marriage and Family Therapist who specializes in helping couples I know that fighting does not belong in a healthy relationship. Fighting causes harm and bad feelings. Disagreements are a natural part of life though. People get their feelings hurt. That’s normal. What is helpful is to learn the skills to tell your partner when you are upset. Both people should also have some skills at saying “I’m sorry.” This is part of resolving difficulties, and these are some of the skills you can learn in counseling. Healthy couples don’t stuff their feelings either, they express them, only they don’t slam or blame their partner in the process. Most of the time when two people in a relationship feel unhappy part of the problem is that they don’t feel heard by their partner. When we feel heard and understood we often feel validated and our problems seem to dissolve and we feel better. 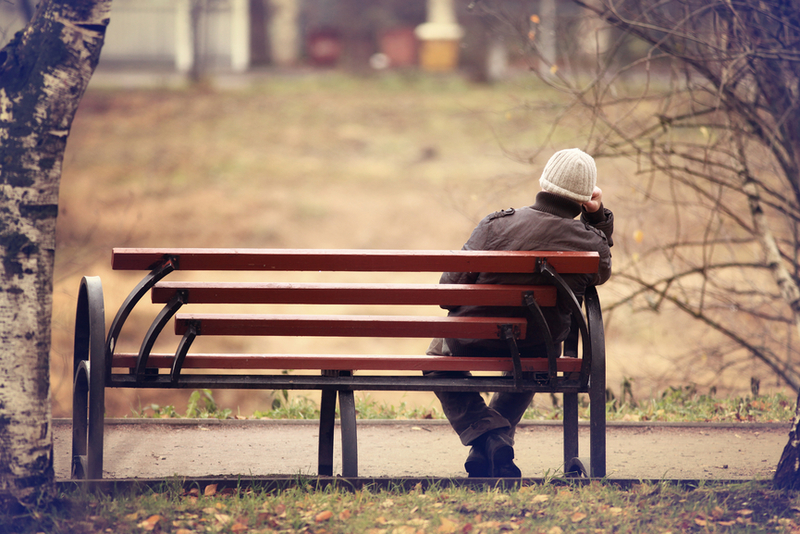 If our partner can’t hear what’s troubling us or what we need we feel alone and isolated. So if it’s that simple, why is it so hard for couples to do it? Most of the couples I work with want to have a better relationship. They come to counseling because they want to feel close and connected again. Both people are usually pretty earnest about their intent. They see what they want to have, but they are usually stumped on how to achieve it. Sometimes they blame the other person because they think if their partner really loved them they would know how to make them happy. Unfortunately many couples aren’t talking about what they want and need from their partner and that makes it difficult for the partner to know what to do. Here’s what I see when couples can’t hear each other. One person says how they feel about something, or some incident. The person talking feels bad about what happened. What they want is for their partner to understand their pain. They want an audience from the person who knows them the best. They want to feel like their partner gets what happened to them. They might even want the partner to apologize. This means that the listener is not thinking about how guilty they feel for causing the pain. This means that the listener is also not thinking of ways the partner has hurt them and waiting to respond. But that’s usually what happens. One person talks, and the other person waits to retort and sometimes retaliate. No one is listening. In order to feel heard, validated and get some resolution, the teller of the pain needs to just tell it to the person that may have caused it. That’s it, nothing more. This is part of the healing process that couples need to repair. One pained person talks about what happened to them. The other person listens without going into their pain. Unfortunately that’s the dance that most couples fall into. One person talks and the other person tops them. This starts a back and forth with no winner and no end. Both parties end up feeling exasperated, frustrated, drained and alone. I help couples learn a new way to communicate. Both people get their say, but they have to take turns. It really doesn’t matter who goes first, but it does matter that the listener just do the job of listening so the talker gets heard. This does not come naturally. Most of us aren’t taught that sharing our pain actually helps us heal. Many of us learn that we must fight to be heard, that we have to express our pain in order to get relief. But that style usually leaves people feeling unhappy and alone. Once couples learn these tools of being the talker and the listener they never feel alone in the relationship again. They might even feel terrific, realizing that their mate really cares. There are many reasons why people seek counseling. One of the most common is that they are unhappy in their lives. They know something doesn’t feel right, and they long for a time, place, and feeling of something better. They can’t really describe this place but they know they want it. These clients I’m describing are all successful. They’ve built something with their lives; careers, relationships, families. They are rooted in what they do and their responsibilities. They may be proud of their accomplishments too. Yet sometimes they say they feel like a fraud because of a hollow place inside. I know, having changed careers to become a therapist, I’ve gone through my own challenges trying to find that better, more peaceful place that many of my clients seek. I know it’s hard to look underneath everything you have constructed and you know to be true and have lived for the last 20, 30, or 40 years. But unhappiness is a terrific motivator. When people are unhappy in their lives they will do what they do best, look for a way out of the unhappiness. Often this search leads to counseling and that path leads to understanding the self. What does the person want out of life? What makes the person happy? What would the person like to change? These are simple questions. Yet the answers are sometimes very hard to know, because most people are too busy with their lives to really look. So look now at your life. Are you in a place that feels right? Are you content? Notice I’m not asking if you are happy. I know that this feeling is fleeting. It’s great to be happy. Finding what makes you happy is what I am interested in and that journey takes practice. It starts with you saying yes to you. Sometimes we don’t know how to honor ourselves with self care. We may be experts at helping others, and we may be accustomed to putting our needs last. By the time we get around to taking care of ourselves we are exhausted, and we might even get mad. I like to help people learn to attend to their needs, wants and desires. That doesn’t mean you have to ignore everything you already do in your life. It just means you make you a priority to you. You learn how to take care of yourself in a way that feels good to you. This is where you grow, like developing a new muscle. And you know that unhappiness I talked about earlier? When people find a way to take care of themselves they feel less unhappiness. Feeling content, grounded and peaceful, I haven’t met a person yet who doesn’t long for it.